Hi there Fabric Mart Fabricistas! 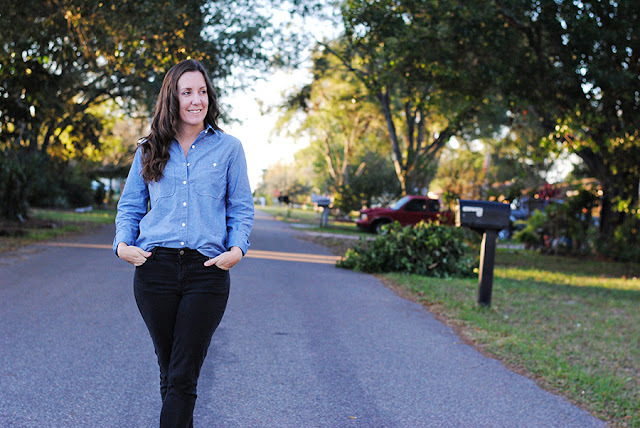 My name is Teresa and this is my first time posting here...I am so thrilled to be blogging with Fabric Mart! When I started poking around at the fabrics available on the Fabric Mart site I immediately started my search with the chambrays. 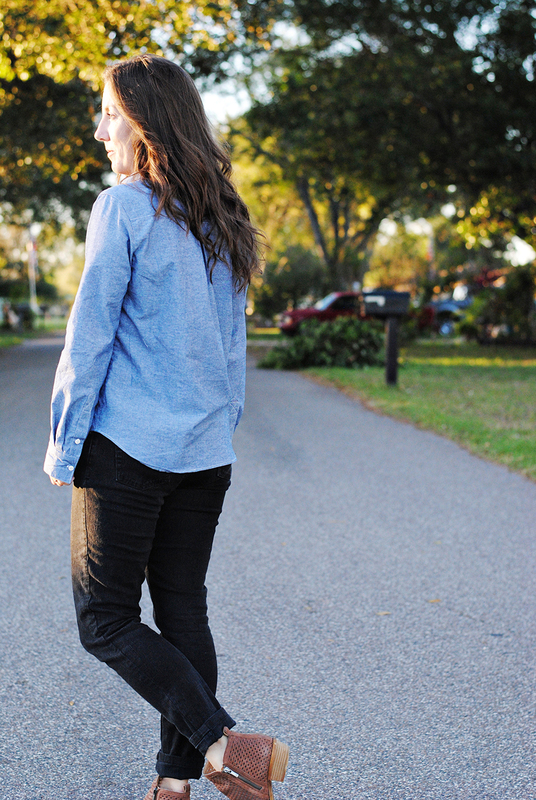 My ready to wear chambray shirt died recently (after wearing it for many years) so it was time to replace it! I landed on this beautiful light blue denim chambray and it is perfect! I went to my tried and true pattern, the Grainline Studio Archer Button Up. 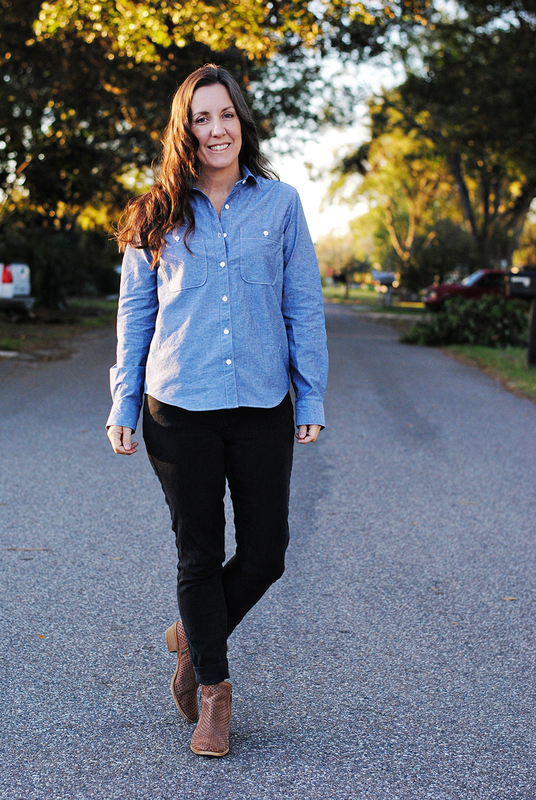 I love the casual fit of this button up pattern. I've sewn this pattern many, many times and always love the results! This was the first time I used a sleeve tower placket on the archer button up. The archer instructions have you make a tiny little sleeve placket, which works great, but I much prefer the look of these tower plackets! I grabbed the pattern piece from another sewing pattern, and it worked perfectly! I also drafted the breast pockets. 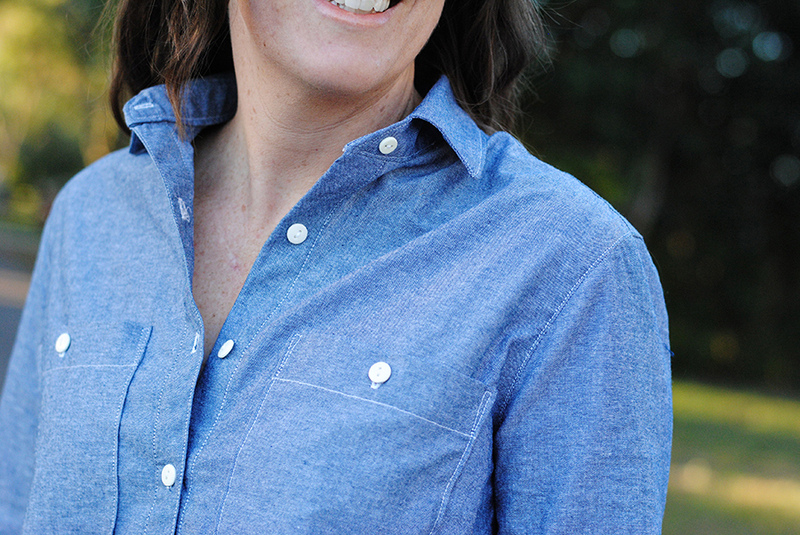 I wanted this chambray shirt to look a lot like the ready to wear shirt that I was replacing. I love the look of the buttons on the breast pockets! The last area that I deviated from the instructions were with the collar. A couple of months ago, I tried Andrea's collar insertion method. I've always struggled getting the topstitching on my collars to look nice on the inside and the outside. Following Andrea's steps, I have had the best results! 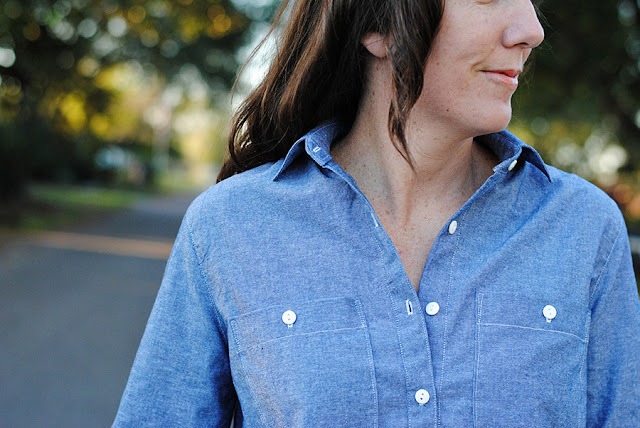 Button up shirts can seem like a daunting task with a lot of steps, but I absolutely love all of the little small details. And the archer button up has such thorough instructions, it is not complicated at all! Time consuming, but definitely not complicated! It's fun to slowly sew something that will get worn frequently! I am thrilled that I have a little bit of this chambray fabric leftover. 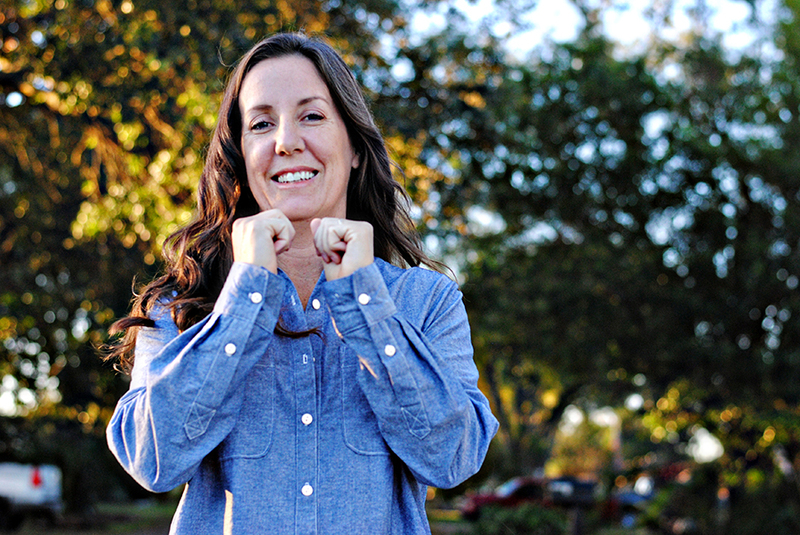 I'm thinking I might have just enough to squeeze out a little chambray cami! Thank you Fabric Mart for the perfect chambray fabric! Thanks for having me Fabric Mart and thanks for reading! Great job! Love your modifications. I am always a bit afraid to alter patterns (or 'frankenpattern' as the cool kids say). Your shirt came out great and I'm sure you will wear it for years! Nice job of a great timeless wardrobe staple. It looks like an RTW for sure which I mean as a complement. Enjoy!